Looking back, I’ve noticed something peculiar that seems trending in anime; Women who have a male who would give their lives for them and hold phenomenal power, while they themselves would be unable to retaliate if they actually turned against them, yet still talk to them as if they were lapdogs. I plan on explaining what I mean by talking about Kokonoe and Iron Tager’s relationship from BlazBlue and Sir Integra Fairbrook Windgates Hellsing and Alucard’s from Hellsing. I figure a deeper look at what is going on there will clear up some things I notice about this fad. Despite its nature, I do find it a bit refreshing to see woman in the commanding position. In my opinion, it makes for an interesting plot twist as well as showing that women can be on equal footing as men as far as commanding dominance is concerned, even if they are not as capable physically. By putting a woman at the helm, it goes against the law of the norm and demonstrates a woman’s hand is just as capable as a male’s in assuming control of a given situation. Kokone is the leader of an organization that opposes a world order. She is looked upon as a threat and is even strong enough to hold back a “Hero” who has once saved the world from destruction. Integra is the head of an organization that eradicates vampires and opposes them as well as another organization that has a similar goal but includes their annihilation as well. These are both easily roles that could fall to men and have them actually lead the battle themselves instead of using someone else (Kokonoe – Tager; Integra – Alucard), but instead they choose to show the commander-type mentality that women can also possess. “Behind every great man lies a woman”. What seems to be causing this is the undying devotion that the men have after something they have sworn or feel obligated to do. 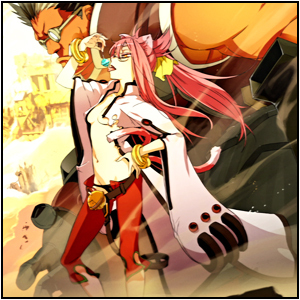 In Tager’s case, he was saved by Kokonoe from death and was rebuilt as a machine for her personal agenda. In Integra’s case, it seems Alucard was made a type of slave for the Hellsing family and he follows willingly to her every whim, even offering her immortality so that she may stay around forever. Though, in both cases they feel indebted to the women and thus they cannot disobey orders or be nothing but polite to them regardless of how brash and tactless they are when addressing them or ordering them to do things. I find this is different compared to people like Ringo Noyamano in Air Gear who is the head of the Sleeping Forest and rules with her Thornier road and ability to survive in the “Forest”, or Lady Bira in Ral-Grad that ruled as the Queen of Darkness using the power of her eyes that are able to obliterate any Shadow. These women I am talking about are completely ordinary and yet controls men people are afraid of with ease. Kokonoe is a scientist in Sector 7, and despite being the daughter of the Heroes Jubei and Nine, she seems to only have amazing intelligence and cannot fair well in a fight so uses Tager. Sir Integra is a normal human who ran to Alucard as a little girl because she was about to die by her Uncle’s hand and her father told her that something in the basement would keep her safe; and now she relies on Alucard for the protection of Hellsing. Bottom line, I think the men are loyal due to feeling indebted and not because feeling they are under any type of power to do so. I am sure the women know this as well, as they know no matter how badly they may treat them, they will never leave and will always remain there at the ready to follow any order given to them. When it comes to these type of women, they often exhibit behavior that is a bit more masculine in nature as opposed to the more submissive(As it has been driven into our mentality)feminine mentality that is often placed upon girls. For example. Integra in Hellsing is referred to as “Sir Integra”. Here “Miss” would be better as she is a woman and this is the proper term to refer to women by when you wish to confer respect. Sir is more of a way of saying a male commands more respect and thus the reason why she is using “sir”. You know she is a woman based on her name, but she dresses in a manner more fitting to a man. Not to mention she smokes very regularly and often reeks of aggression. Kokonoe probably uses profanity more than any other character in the game and holds an extremely bitter grudge against Terumi (Hazama). She also shows some heartlessness when it comes to relationship as well as a “do-or-die” attitude when it comes to getting the job done and often orders Tager to do things he does not normally do (Such as fight Litchi when he is against tussling with women). However, something else that is shown with these type of women is that they are not actually as heartless and strict as they appear. That they actually care for their subordinates and wish for their safety, as well as generally worry. That behind that iron curtain they laid up and the impenetrable defenses in their personality, they are but still only human. Such as when Kokonoe refused to detonate and destroy Tager after his body was taken over, or when she called him to make sure he was safe. Integra showed concerned in the Hellsing Anime when Walter lowered her with wires to save her after their helicopter was going down, and when Alucard was fighting Incognito and had been killed as she screamed out his name. In life, there are not many females(Who aren’t body builders) who are physically more capable in a fight than a physically fit man; however, anyone can rule when it comes to the arena of knowledge and anyone can take control. Often however, men are placed into this role and women take a back seat as if there is nothing more they can be or they can become. This breaks that trend. We have men who would do anything for women, be it their wife or someone they show affection for. But it a childhood friend or someone who they feel indebted to for any reason, it is portrayed in the lives of some everyday men. While this is not something that happens very often, we do see a lot more women taking control of situations in anime and control powerful men in order to accomplish the task. Either it be through intelligence, blackmail, or even with them feeling indebted to them. It is fresh and shows that a female can have just as stern an attitude as a guy, and that it is not something that relies solely upon the gender that someone is. However, something I would like to see is when the woman in control of the guy has the power to become stronger than the one she is commanding; that would make it more understandable for most people and make it more believable. poison and hugo from street fighter series !!!!!!!! 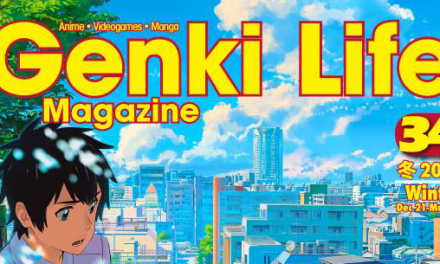 Thanks Bankai! Forgot all about that. xD!